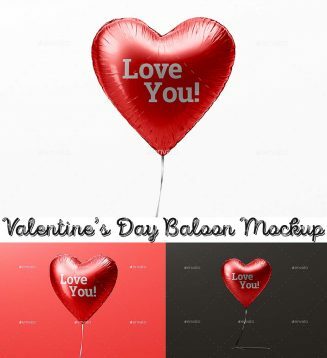 Create custom heart shaped balloons for Valentine’s day or any other scene filled with love in seconds. Easy to use and unlimited possibilities with organized and named layers. Tags: air, balloon, birthday, branding, glossy, heart, logo mockup, love, mockup, romantic, Valentine, Valentine's Day, Valentines.